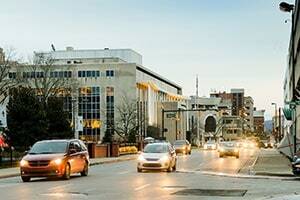 This page discusses West Virginia accident law and offers information on the settlement value of car and truck accident cases in West Virginia. Given the number of these different factors it is hardly surprising that there are a lot of car accidents in West Virginia. This page will look at (1) West Virginia car accident and insurance laws and (2) recent settlements and verdicts for West Virginia car accident cases. West Virginia has different bodies of law that are applicable to auto accidents including tort law; traffic laws; and insurance regulations. Below is an outline of all the key laws in West Virginia regarding car accidents, insurance and financial liability for auto accidents. A statute of limitation is a state law that sets a time limit on your right to bring a lawsuit to court. West Virginia has a general 2-year statute of limitations period that applies to car accident injuries or damage to vehicle or other property. W. Va. Code § 55-2-12(b). This means if you are in an auto accident and you are not at fault, you must file a claim within 2 years of the accident. For minors the statute of limitation starts running when the minor turns 18. For example, if a 16 year old gets into an accident, he or she will have until the age of 20 to file a claim. West Virginia follows a modified comparative fault system. This means each party is responsible for their degree of fault. For example, if you are in a car accident and you are found to be 30% at-fault for the accident then, you would be responsible for 30% of your own damages. If you decide to file claim against the other party they would only be liable for 70% of your loss. West Virginia is not a pure comparative negligence state. West Virginia has modified the pure comparative fault doctrine by adopting the 50% Bar Rule for liability. Under this rule a person who is found to be more than 50% at fault is completely barred from recovery. This means if you are 51% at fault for the accident then you are unable to seek any damages. West Virginia does not have a statutory limit or cap on the maximum amount of non-economic damages (pain & suffering) that can be awarded in a motor vehicle accident case. The only exception to this is when the defendant is a state or local government agency. If you are filing a lawsuit against the W.V. state government or one of its agents there is a $500,000 limit in non-economic damages. West Virginia law allows all the standard types of economic and non-economic damages in auto accidents including: past and future pain and suffering, past and future medical expenses, lost wages, impairment of future earning capacity, loss of enjoyment of life, vehicle repairs, and emotional distress. There is a statutory limit on the amount allowable punitive damages in West Virginia. The amount of punitive damages that may be awarded may not exceed the greater of four times the amount of compensatory damages or $500,000 (whichever is greater) Any amount of punitive damages that exceeds the cap will be reduced by the court. Below are recently reported verdicts and settlements from West Virginia car accidents. These cases are provided for informational purposes only, to give examples of the types of injuries and associated legal damages awarded in WV auto accident cases. You cannot use this to determine the settlement value of your West Virginia accident case. But seeing verdict and settlements are very useful to getting a feel for how much money juries give in similar types of cases. Along with other tools, this will help you better understand the settlement value of your claim. Larry Keeling Jr. vs. Kevin Hanson (West Virginia 2016) $548,00: Plaintiff alleged that defendant driver was negligent in losing control his vehicle and its trailer carrying lumber. The lumber spilled across the highway and caused the plaintiff's motorcycle to crash into the lumbar. As a result of the collision, the plaintiff sustained injuries including two displaced rib fractures and tears of his ACL and MCL which required surgery. Defendant admitted liability, but disputed the nature and extent of the plaintiff's injuries and damages. The jury returned the verdict in favor of the plaintiff and awarded him $540,000 dollars. Cav's Coach Company, L.L.C. v. Phillip C. King (West Virginia 2016) $38,500: Plaintiff's bus crashed into the defendant when the defendant crossed over the center line and collided head on with the bus. Plaintiff claimed the bus was a total loss after the accident and incurred towing and storage charges and loss of income resulting from the collision. The plaintiff request compensatory and punitive damages. Jury returned their verdict and set the plaintiff's damage at $35,000 for the market value of the totaled bus and $3.500 for other expenses. Powell v. Meredith (West Virginia 2012) $21,607: Plaintiff was in an automobile accident where defendant collided with the rear of the vehicle the plaintiff was a passenger in. The plaintiff contended that the defendant negligently operated his vehicle and proximately caused the accident by following too closely, failing to use due care, failing to keep a proper lookout and failing to maintain control. The defendant denied liability. The jury reached a verdict for the plaintiff in the amount of $21,607 for past medical expenses, past pain and suffering, and past aggravation, annoyance, anguish, and loss of enjoyment of life. Bailey v. Shreves (West Virginia 2016) $5000: Plaintiff and her minor son were driving on highway when defendant's vehicle rear-ended her. Plaintiff and minor son suffered unspecified personal injuries caused by the collision. Plaintiff claimed that the defendant was negligent for failing to maintain a proper lookout and failing to maintain control of his vehicle. She sought awards for pain and suffering, medical expenses, lost wages and loss of earning capacity for herself and her son. Judge entered an order approving a $5000 dollar settlement. Cunningham v. Braxton (West Virginia 2012) $5 million: Plaintiff was in parking lot of a grocery store when defendant driving a vehicle made a left turn and struck the plaintiff. Plaintiff sustained multiple injuries, including a brain injury resulting in cognitive impairments, a left knee injury requiring arthroscopic surgery, hearing loss, and post-concussion headaches. Jury determined that the defendant was 100 percent negligent and awarded plaintiffs 5 million dollars. Eastham v. State Farm Mutual Automobile Insurance Company (West Virginia 2017) $22,012: Plaintiff suffered a right rotator cuff tear and cervical lumbar strains as she drove southbound and a motorist struck her vehicle from the rear. Plaintiff alleged that the impact of the collision pushed her forward into the back of a third vehicle. The jury found that the plaintiff suffered injuries as a proximate result of the crash and awarded her a total of $22,012 in damages. Miller & Zois is one of the leading personal injury firms in the Mid-Atlantic region and we have a history of proven success representing victims in West Virginia. We have recovered millions of dollars for our clients in West Virginia, including a verdict in excess of $3 million. If you have been injured in a West Virginia auto accident contact us for free consultation. Call us at 800-553-8082 or request a consultation online.